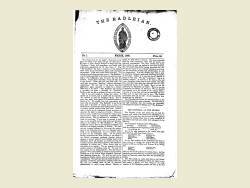 The Radleian Magazine celebrated its 150th anniversary in 2014. It first appeared as a small pamphlet in 1864, then relaunched as a broadsheet, renumbered from no. 1, in 1866. Every surviving issue from 1866 until 2010 has been digitised here. Originally the magazine was available to pupils and Old Boys on subscription and published fortnightly. Over time is became a monthly, then quarterly or termly publication. It became an annual summary of the school's year in 1975. The magazine was written and edited primarily by the pupils from 1864 until the 1990s. Alumni information formed a significant part of the Radleian Magazine until 1995. 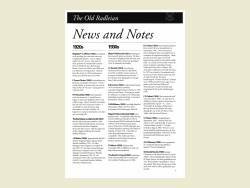 The Old Radleian Magazine was founded as a separate publication in 1996.